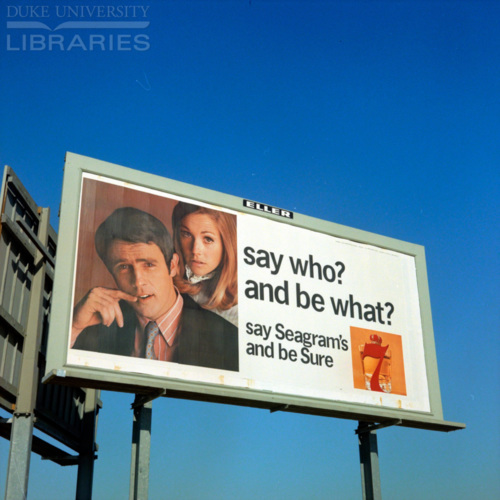 European American man and woman on left, bottle of Seagram's on right. “say who? and be what? say Seagram's and be Sure,” Race & Ethnicity in Advertising | America in the 20th Century, accessed April 24, 2019, https://raceandethnicity.org/items/show/830.